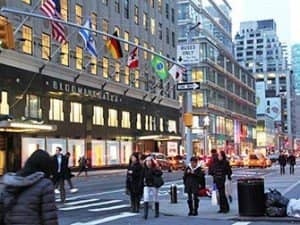 Bloomingdale’s in New York is, next to Macy’s, one of the most famous department stores in the world. Almost everyone who loves to shop knows about the ‘little brown bag’. The store sells nearly everything that you can think of: from designer clothing to furniture, from shoes to cookware, you name it, they sell it! Seeing as it’s so popular it can get very busy. Open from Mondays through Thursdays from 10:00 until 20:30, Fridays and Saturdays from 10:00 until 22:00, and Sundays from 11:00 until 19:00. 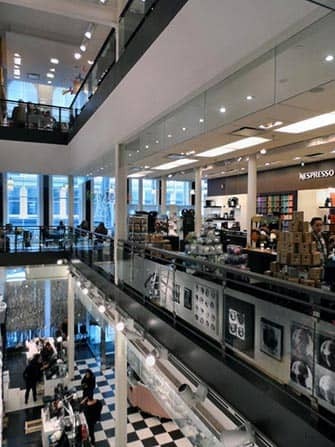 Bloomingdale’s SoHo offers free wifi, and a place to sit down. Perfect for when you want to catch up with people at home when in New York. 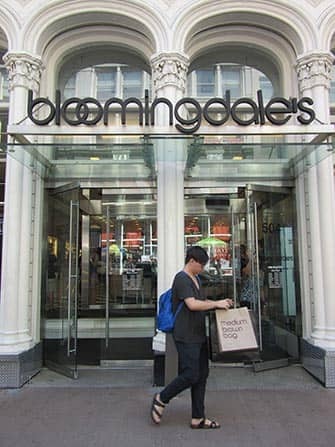 Bloomingdale’s Outlet on the Upper West Side is open everyday from 10:00 to 21:00 and on Sundays from 11:00 to 20:00. On the first floor you’ll find a yoghurt bar where you can take a break from all the shopping.